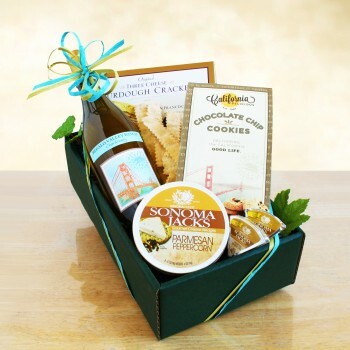 This basket of California delights features Regalo Valley Ranch Chardonnay, a bright, fruit-forward wine that is clean and refreshing on the palate. 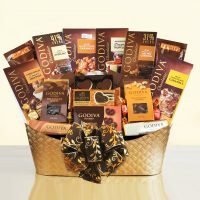 This basket of California delights features Regalo Valley Ranch Chardonnay, a bright, fruit-forward wine that is clean and refreshing on the palate. It’s filled with aromas of Granny Smith apples, lush pears, and tropical fruit. We pair it with Sonoma Jack cheese, sourdough crackers and chocolate chip cookies. 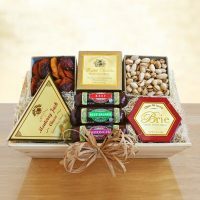 This simply elegant gift is sure to bring a smile. 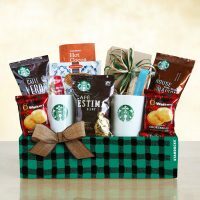 It is a perfect gift for family, friends or to say thanks to a colleague.